This is a live blog from the College Station City Council’s workshop and regular meetings on Thursday, Aug. 23. It’s not the official minutes. 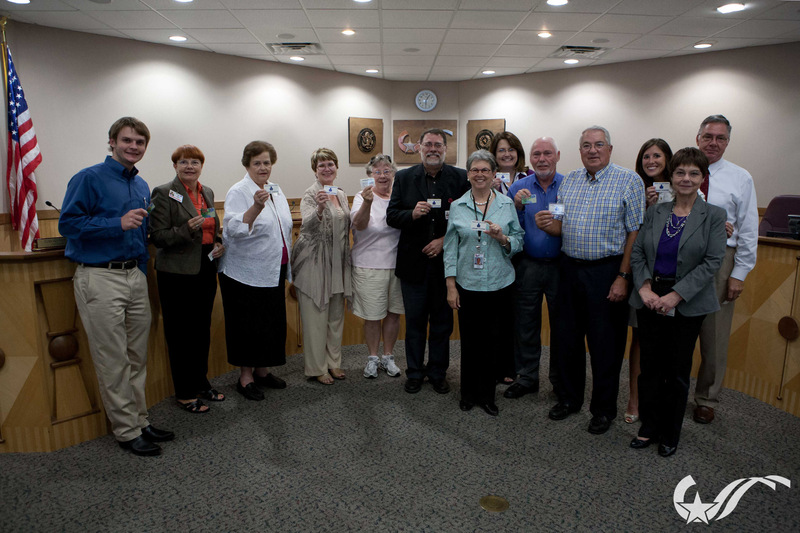 Mayor Berry proclaimed September as Library Card Sign-Up Month. The council discussed several items on the consent agenda, including the inter-local agreement with the Brazos Transit District for the construction of bus shelters, the contribution of Hotel Occupancy Tax funds to the B/CS Chamber of Commerce and the consulting contract with First Southwest Company. The consent agenda will be considered during the regular meeting later tonight. The council heard a report on the status of the city’s five major wastewater collection construction projects — the Bee Creek Trunk Line, Wellborn Gravity Sewer Line, East Side Sewer System, Northeast Trunk Line, and the Spring Creek Corporate Campus and Lick Creek Trunk Lines. These projects will require significant capital investment in the next decade to meet demands and allow for development. The council heard a presentation on the South Knoll-The Glade Utility Rehabilitation Project, which includes the rehabilitation of water and wastewater infrastructure in the area generally bounded by Glade Street, Haines Drive, Langford Street and Bee Creek Drive. The council will consider the construction contract as part of tonight’s consent agenda. The council discussed its upcoming calendar, then took a short break. They will finish the remaining items on the workshop agenda after the regular meeting. Mayor Nancy Berry asked for a moment of silence in remembrance of those who died in last week’s shooting in College Station, as well as recent shootings across the nation. After the Pledge of Allegiance, Fire Chief R.B. Alley led the opening prayer. Council Member Karl Mooney thanked all the first responders and city staff who were involved with the crime scene and investigation, and thanked the community for the outpouring of support it gave to the victim’s families. 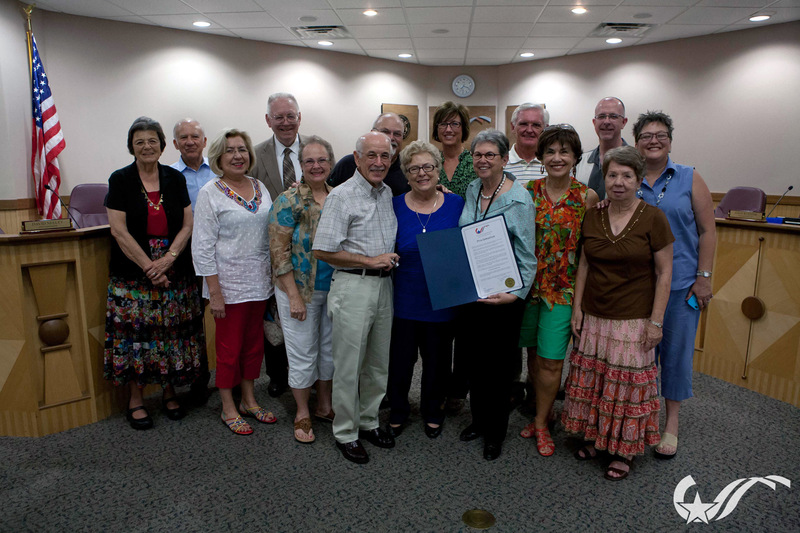 Mayor Berry recognized and presented Joanne Yeager with a proclamation for her service on the Senior Advisory Committee. One citizen spoke during hear visitors regarding the sudden closure of the College Station Conference Center. An inter-local agreement with Brazos County for the administration of the city’s general and special election in November. A contract for $3.7 million with Elliott Construction for the South Knoll-The Glade Utility Rehabilitation Project, and a resolution declaring intention to reimburse certain expenditures with proceeds from debt. Renewal of the annual reconfirmation and use of service and equipment to be provided by the city in the event of a radiological Incident at the Texas A&M University Nuclear Science Center. Amendments to contracts with the Brazos Valley Community Action Agency to revise the use of Community Housing Development Organization (CHDO) proceeds from activities completed with HOME Investment Partnership Program grant funds, and to delete the requirement for the return of 25 percent of the proceeds generated from funds. A contract for $100,850 with Hawkins Architecture for the design of an expansion to the maintenance facility at Veterans Park. Emerald Forest Drainage Improvements Project. Renewal of an easement agreement with the Texas A&M University System for the operation and maintenance of the traffic signal at Bizzell Drive and George Bush Drive. A contract for $61,406.31 with Dailey Electric to add electrical power at various locations throughout Wolf Pen Creek Park. Annual expenditures for copying and printing services estimated at $40,000 to Tops Printing, $40,000 to Copy Corner, $20,000 to Office Depot, and $20,000 to Cerqa. A bid of $89,410 for the purchase of various pad-mounted distribution transformers by HD Supply Utilities ($53,150), Techline ($21,416) and KBS ($14,844). Voted 6-1 to approve an inter-local agreement with the Brazos Transit District for the construction of two bus shelters, which includes a 25 percent match by the city of not more than $12,500 from the Strong & Sustainable Neighborhood Grant program. Councilmember Jess Fields voted against the motion. Voted 6-1 to approve a Hotel Occupancy Tax Fund agreement for $25,000 with the Bryan/College Station Chamber of Commerce. Councilmember Fields voted against the motion. Voted 5-2 to renew of a consulting contract for not more than $175,000 with First Southwest Company for financial advisory services. Councilmembers Fields and Karl Mooney voted against the motion. Voted unanimously to approve a motion by Councilmember Mooney to require the city to distribute a Request for Proposal for financial advisory services for the 2014 Fiscal Year. No citizens spoke during a public hearing on the city’s Proposed FY13 Budget. Final adoption of the budget and tax rate is set for Sept. 13. After the public hearing, the council discussed several items in the budget and a number of motions were made, but no action was taken. After a public hearing, the council unanimously approved the Southside Area Neighborhood Plan, which is designed to stabilize and protect the neighborhood while encouraging appropriate redevelopment opportunities. The area generally is bounded by George Bush Drive, Texas Avenue South, Holleman Drive, Welsh Avenue, Southwest Parkway and Wellborn Road. The meeting has started again. After a public hearing, the council voted 6-1 to amend to the 2012 International Building Code by establishing a fire district. Councilmember Fields voted against the motion. After a public hearing, the council approved the abandonment of a 0.09-acre, 20-foot wide sanitary sewer easement in the North Forest Estates Subdivision to allow for development. The council unanimously reappointed Mayor Berry as a representative to the Brazos Valley Council of Governments. After discussing future agenda items and receiving committee reports, the workshop meeting was adjourned. The council meets again Sept. 13. This entry was posted on August 23, 2012 by City of College Station. It was filed under City Council, Public Communications and was tagged with budget, community development, Council Meetings, elections, Fire, neighborhood plans, Parks and Recreation, planning, projects, Transportation, Wastewater, water, Wolf Pen Creek.